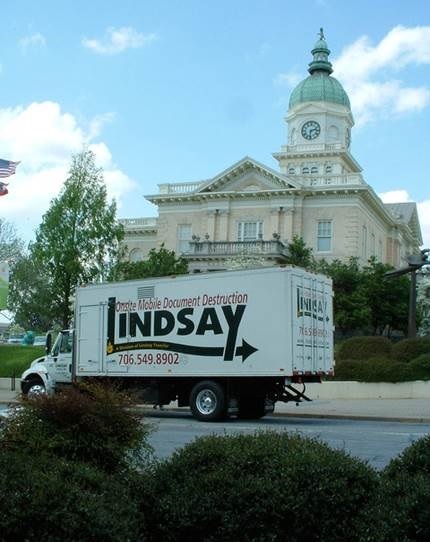 Lindsay’s document storage services provide safe, convenient and economical storage for semi-active and inactive records. Free up valuable space and ease record retrieval by streamlining data filing, storage and recovery. Get rid of all that clutter, and don’t worry, we’ll keep it nice and safe! The Lindsay warehouse in manned 24-hours a day by Complete Security Alarm Service and directly linked to Athens-Clarke County 911. Designed for the purpose of storing household goods, our warehouse is insulated and exceeds the standards of our industry. 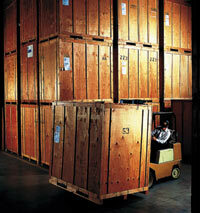 Documents are ensured proper storage for an extended period of time without damage due to moisture, mold or mildew. 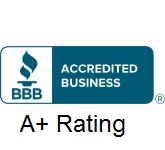 Pest control and alarm procedure checks occur monthly. Each day, we handle documents of a confidential nature. We allow only authorized personnel to access records. Signatures are required each time an authorized employee is granted access.